If you are like me, then you have probably been playing Grand Theft auto since grade school -shh don’t tell the parents. The particular franchise is my favorite game line-up of all time for a handful of reasons. So how would GTA V look in the 80’s? 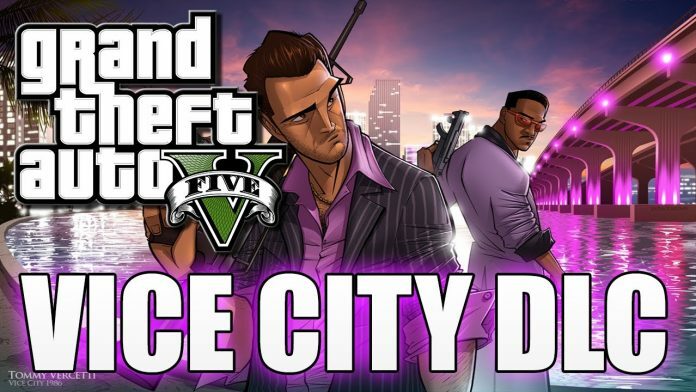 Well, there is a video that will bring you all these incredible memories of playing Vice City years ago. The video uses a 4:3 aspect ratio, chromatic aberration, and VHS-style artifacting to give us an idea of what it might look like if Grand Theft Auto: Vice City hit today. In addition to that, the background music composed by Lazerhawk was just the right fit for such an exceptional production. So if you are a huge GTA and #BringThe80sBack fan, this is a must watch.